Sweeney Brothers Construction, LLC is a niche contractor that specializes in construction services pertaining to exterior renovations, maintenance and new construction. We serve both residential and commercial clients with services that include but are not limited to: Historic Renovation, Architectural Sheetmetal Fabrication and Installation, Carpentry, Steep and Low-slope roofing, Unit Masonry, Ornamental Stone & Concrete Restoration, Painting, and Glazing. 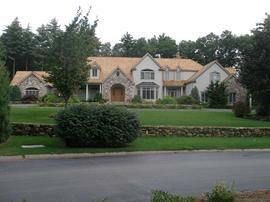 No matter what your exterior needs are, Sweeney Brothers Construction, LLC will treat your home as if it were our own! Properly executed exterior details are among the most fundamental needs for your home. Sweeney Brothers Construction, LLC will ensure that the harsh elements will be kept at bay and our work will perform as you expect -- Problem and worry free for the years to come!